Discussing legal developments affecting and occurring in Nevada and beyond. Presented by Sheri Ann Forbes, Esq. connections in Nevada.” The Court reasoned that “a plaintiff cannot be the only link between the defendant and the forum.” The Ninth Circuit held that personal jurisdiction in Nevada was proper because the defendant's allegedly tortious actions in Atlanta, Georgia affected persons with a “significant connection” to Nevada. I am Ted, Ted I am. I do not like that Ted I am. Do you like ObamaCare and Spam? Would you like them Red or Blue? Would you like them in Congress? Would you like them in the House? I would not like them with you. I do not like them Ted I am. Would you like them if you crashed your car? Take them, take them, here they are! I would not if I crashed my car! You may like them, you will see! You may like them if you're stung by a bee! I would not if I was stung by a bee! Not if I crashed my car, you let me be! Could you if you fell off a train! Not if I fell off a train, not if I was stung by a bee! Not if I crashed my car! Ted! Let me be! If you tripped in the dark! Would you like them in the dark? I would not if I tripped in the dark! Would you if you slipped in the rain? I would not if I slipped in the rain! Not if I tripped in the dark, not if I feel off a train! Not if I crashed my car, not if I was stung by a bee! I do not like them, Ted you see. I do not like them especially with you! I will try them, you will see! I like ObamaCare and Spam! I do, I like them Ted I am! I would like them if I fell off a train! And if I crashed my car, And if I was stung by a bee! I will like them if I take to my bed! I will like them in the House! I will even like them with YOU! Thank you! Thank you, Ted I am! George Zimmerman, Back In the News: Are We Really Surprised? It isn't as if George Zimmerman has shown the best judgment throughout his notariety. If he made good choices, he wouldn't have found himself in the situation that resulted in Trayvon Martin's death. If he made good choices, Zimmerman wouldn't have been trying to deceive the trial court with his clandestine phone calls with wife Shellie regarding "Peter Pan." It was bad enough that after his acquittal, Zimmerman visited the factory that manufactured guns like the one he killed Trayvon with and had himself photographed smiling in the factory. But are we now really surprised that a 911 call made by Shellie Zimmerman claimed Zimmerman threatened to pull his gun on his estranged wife and her father? It is only a matter of time before Zimmerman makes another poor choice that either lands him in jail or results in his death or the unnecessary death of another person. Many were shocked when it was announced that a jury of six women found George Zimmerman not guilty of all charges associated with the death of Trayvon Martin. However, it must be remembered that the jury had to follow the letter of the law in deciding Zimmerman's fate. At least one juror has come out publicly and stated that although she believed Zimmerman "got away with murder," that because she had to follow what the law stated, she was duty bound to find Zimmerman not guilty. To say that Zimmerman "got away with murder" but was not guilty is a confusing statement to make. So what exactly was Zimmerman charged with, and how could the jury find him not guilty? First, the actual letter of the law in Florida, in pertinent parts, is laid out here, so the exact standards by which Zimmerman was being prosecuted can be undersood. From the very beginning, Zimmerman admitted killing Trayvon. But Zimmerman claims the killing was in self-defense, or in legal terms was “excusable” or “justified.” These terms are legal terms of art that mean that a perpetrator will not be punished for an act that on its face is a crime if there is a good legal reason for its commission, such as self-defense or reasonable mistake. Essentially, a homicide is not a crime if it is justified or excused. Zimmerman's defense team ultimately declined to invoke the controversial stand your ground Florida law and thus did not seek to gain immunity from prosecution and civil suit. (Fla. Stat. 776.032). The DA charged Zimmerman with second degree murder and the lesser included charge of manslaughter. At the close of evidence, the prosecution asked the judge to allow the jurors to consider third degree murder on the basis of child abuse. The crux of the proof necessary for the charge of second degree murder (punishable up to life in prison), boils down to the commission of an "imminently dangerous" act "evincing a depraved mind regardless of human life." Premeditation is not necessary. Under Florida law, in order to prove that Zimmerman had a "depraved mind" the prosecution had to present evidence that he acted with "ill will, hatred, spite or evil intent." See Leasure v. State, 105 So. 2d 5 (Fla. App. 2012). In order to prove manslaughter (punishable up to 15 years in prison), the prosecution had to present evidence that Zimmerman committed an intentional act that caused Trayvon's death. See Haygood v. State, 109 So. 2d. 735 (Fla. 2013). But if there is evidence for a legally sufficient excuse or justification, no crime was committed. Loosely speaking, the crux here is whether Zimmerman honestly and reasonably feared for his life at the time he pulled the trigger; in other words, whether Zimmerman's actions were reasonable given the circumstances. In deliberating, the jurors have to engage in Monday night quarterbacking. The evidence that was presented in this case makes it a close call. There was certainly enough evidence to put Zimmerman on trial for the death of Trayvon, but the jury had a tough job. In my opinion, the most important result of this case is opening the national dialogue about the assumptions that are routinely and all too often unjustifiably made about young black men in general. At the end of the day, whether Zimmerman committed a crime under Florida law was a close call. Perhaps the prosecutors didn't present their case well enough, perhaps the police did not gather enough evidence, or perhaps the jurors were not well-instructed on the law. I do believe it was a mistake for the prosecution to argue Zimmerman was a vigilante, purposefully acting as judge, juror and executioner. Either way, whether the evidence was enough to convict was ultimately up to the jury. OJ Simpson's bid to get a new trial in his Nevada convictions for 19 various felony counts ranging from kidnapping, assault, robbery and the use of a deadly weapon, resulted in a five-day evidentiary hearing from May 13 to May 17, 2013, last week. Simpson's Petition was filed with the Clark County District Court over a year ago on May 12, 2012. Various witnesses testified, including Simpson himself, a first in any of his criminal prosecutions, and Simpson's trial attorney, Yale Galanter, whom Simpson claims was ineffective at trial, entitling Simpson to a new trial. At the evidentiary hearing, Galanter passionately denied any error or omission on his part during Simpson's trial. Simpson's claim of ineffective assistance of counsel is not uncommon when convicted criminal defendants have exhausted all their appeals as of right. The claim is filed in the form of a Petition for a Writ of Habeas Corpus and is based on an allegation that the petitioner's Sixth Amendement Constitutional right to assistance of counsel was violated and thus unvalidates the petitioner's conviction. The petition must first be filed in the trial court. The standard for showing ineffective assistance of counsel rising to a level that violates a defendant's constitutional rights to such a degree that would require a defendant to obtain a new trial is set forth in the 1984 United States Supreme Court decision of Strickland v. Washington, as adopted by the Nevada Supreme Court.in the case entitled Warden v. Lyons. Under the Strickland standard, in order to establish a claim of ineffective assistance of trial counsel sufficient to invalidate a judgement of conviciton, Simpson is required to denonstrate (1) that his counsel's performance fell below an objective standard of reasonableness and (2) that his counsel's errors were so severe that they rendered the jury's verdict unreliable. 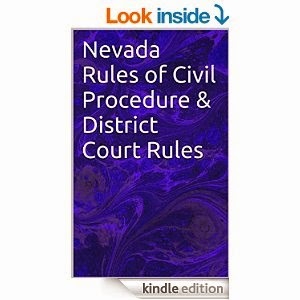 The Nevada Supreme Court has held that the severity of the errors must have prejudiced the defendant to such a degree that but for the errors, the verdict would probably have been differenct. According to Nevada case law, in deciding the petition the trial court need not address both components of the inquiry if Simpson makes an insufficient showing on either one. The Strickland test is a high bar for a convicted defendant to overcome, and in Nevada, defendants' petitions have been denied even in cases where trial counsel admitted to embezzling large amounts of their clients' money, and in cases where a juror subsequently provided an affidavit indicating he witnessed the defendant's trial counsel sleeping during the trial. Statistically speaking, it is not likely that Simpson's petition will be granted, so we may see an appeal before the Nevada Supreme Court in the future. The Attorney General of Massacusets has issued a media release warning the public to be wary of solicitations for donations to help the victims of the Boston marathon bombing. To read the AG's letter, click here. Today, the Ninth Circuit Court of Appeal heard oral argument regarding the constitutionality of a voting law unique to Nevada. Nevada voters may choose to cast their ballot for "none of these candidates" in elections, though the choice cannot "win" the election. The law has been on the books since the 1970's and was challenged last year by the Republican party as being unconstitutional. The Ninth Circuit blocked a ruling by United States District Court judge Hon. Robert Jones siding with the Republican party, allowing the ballot choice to go forward for the 2012 national election. Oral agrument took place this morning before a three-judge panel of the Ninth Circuit. Lawsuit Alleges George Zimmerman's Planned "Escape"
On December 21, 2012, a civil lawsuit was initiated by CMR Associates, Inc., against George and Shellie Zimmerman alleging breach of contract. The Orland Sentinel reports that the lawsuit is seeking payment in the amount of $27,000 for protection services allegedly rendered. According to the Orange Sentinel, the lawsuit also alleges an elaborate plan, cloak and dagger style, to whisk away and hide George Zimmerman from the public, including changing vehicles and clothes, and checking for GPS devices to throw off any surveillance by paparazzi or the public. Like so many of you this week, my heart is broken. The news of the terrible events from Friday that occurred at Sandy Hook Elementary School in Newtown, Connecticut have hit me hard. I cannot watch the news without openly crying, and I have yet to hug my own kids as they are away from me this weekend. There are simply no words to describe how any of us feel right now, except perhaps, incredulity as to the reason why this happened. Ever since CNN set the standard during Desert Storm, the media gold standard has been to report the news as it is occurring. As you are all painfully aware, every media organization is on location reporting the details as they become known. This is the second most violent act of its kind, second only to the Virginia Tech mass shooting in April 2007. One question resonates regardless of which news team or which witness is being interviewed: Why? The shooter's actions, life, friends and family are being scrutinized to find the answer to that question on all our minds. But, really, does it matter what the answer is? Does it matter why he did this? Is there any reason that could be uncovered that would make this tragedy any more bearable or less painful or any easier for our nation or the rest of the world watching to understand? No, there is not. It wouldn't matter if he was bullied as a child, or if his mother was a monster, or if he was mentally ill. So why bother ask the question? It is human nature to try to understand, and it is what we do in the wake of a crisis like this one. So of course we ask the question and seek as much information and details as we can. But the shooter does not DESERVE our inquiry. He does not deserve our consideration that he had any reason, no matter how twisted, to commit this horendous act. He does not even deserve his NAME being mentioned or his face being shown, not by any of us, and not by the media. My plea today, my request to the media is this: Make a conscious choice not to highlight who the people are who choose these evil acts. Report the details, but choose not to report the name, or show the face of anyone who chooses these acts. I can't help but believe that these shooters who do these horrible things do so not only knowing they will not come out of it alive, but also believing they will live on in infamy. Granted, I am no psychologist, but I believe the publicity only encourages the next nut job to carry out his insane fantasies. Let's make the choice as a society to stop giving them this immortality through infamy. Frankly, as much as I want to know the answer to "why," it is not worth giving the shooter what he sought. ABC, CBS. CNN. NBC, FOX, and all other media outlets, PLEASE stop mentioning these people's names and showing their faces. Apparently irritated at the Oklahoma Supreme Court, the United States Supreme Court today summarily reversed the Oklahoma Supreme Court decision incorrectly ruling that an arbitrator, rather than the court, must decide whether an arbitration clause in an employment contract was valid. See this blog's report of the United States Supreme Court's prior decision on this issue here. I am a Senior Deputy Attorney General with the Nevada Attorney General's Office, in the Bureau of Consumer Protection unit. The opinions expressed in this blog are my own and in no way reflect the opinions of the Nevada Attorney General, or his/her office or staff. In private practice, I focused on business litigation and appellate law in such areas as fraudulent loan practices, complex construction law, UCC Article 9, ERISA law, class action certification, domestication of foreign judgments, and procedural law issues. I am licensed to practice in Nevada, California (inactive status), United States District Court District of Nevada, Ninth Circuit Court of Appeal and the United States Supreme Court. Forbes Law Office, PC © 2010. Ethereal theme. Powered by Blogger.